Systems Engineering, when done optimally for your product(s), can significantly enhance your capabilities, enable your programs/projects to be completed on time and on budget with all required functions. But we note that this is not happening in most cases. To correct this, the Systems Engineering Guidebook has been designed as a template describing “What” to do to successfully employ the Systems Engineering Process to implement and apply appropriate (effective and efficient) Systems Engineering processes and activities. The Appendices (Section II) contains a description of the members of a SEIPT, a suggested metrics spreadsheet and list of reference documents that anyone can get and review if necessary. 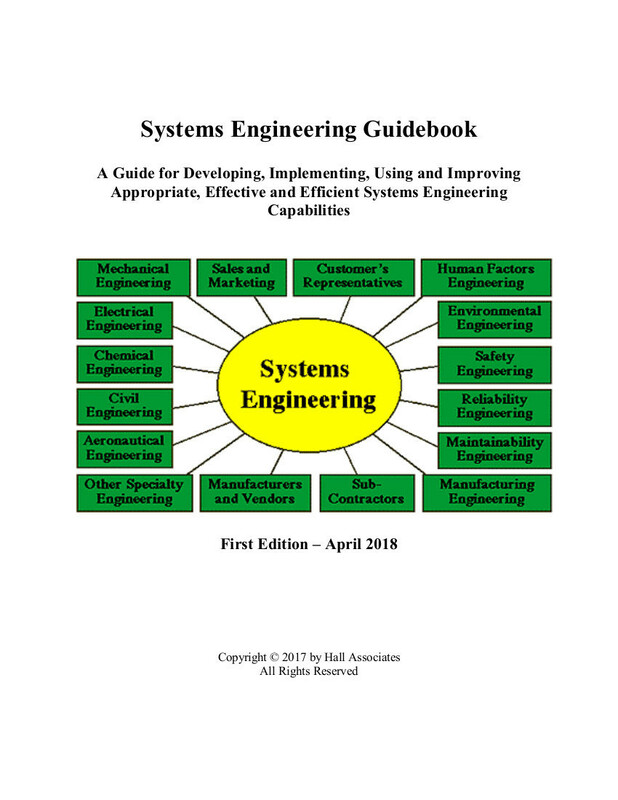 The objective of this Guide is to ensure that the Systems Engineering process and activity set meet the needs of the Enterprise/Organization/Program/Project while being scaled to the level of rigor that allows the system life cycle activities to be performed with an acceptable level of risk and to be measured. All SE processes and activities must be tailored to a rigorous application that provides an appropriate level based on need. While all SE processes and activities apply to all life cycle stages, tailoring determines the process/activity level that applies to each stage, and that level is never zero. There is always some effort in each process and activity in each stage. At the enterprise or organizational level, the tailoring process adapts external or internal standards in the context of the enterprise or organizational processes to meet the needs of the enterprise/organization. At the program level, the tailoring process should adapt enterprise or organizational SE processes and activities to the unique needs of the program. To accomplish this, the Guide describes the activities recommended for the DISMI System Engineering Process Implementation Project. To order the e-book, send a request to info@hallassociateshsval.com.